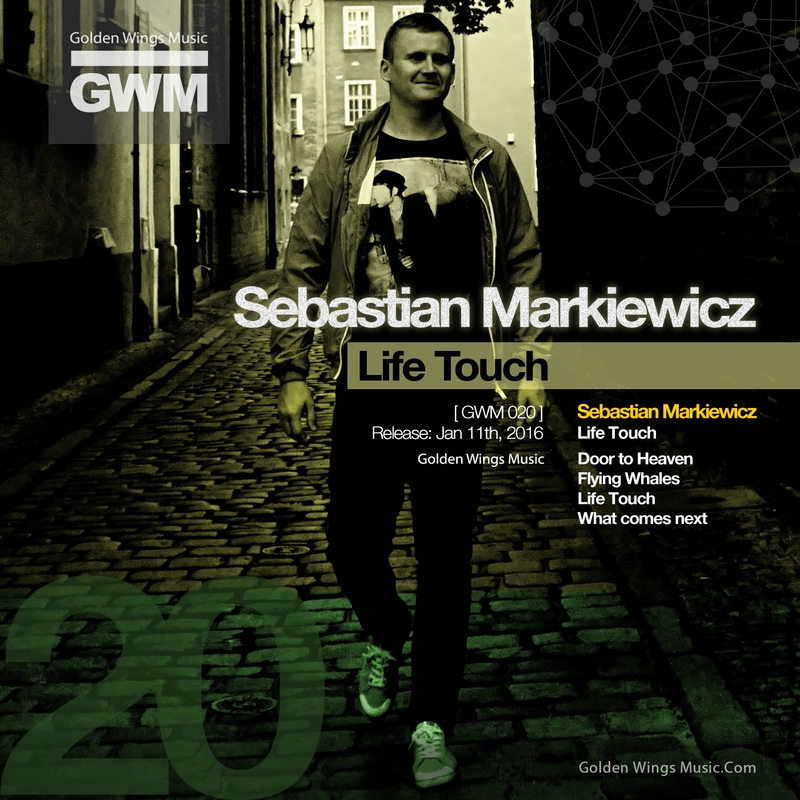 The latest release on Golden Wings Music welcomes Sebastian Markiewicz to the label for his debut EP. Originally from Poland, Sebastian is now based in the UK. He’s runs the Compatible Music imprint which has compiled an impressive discography since its inception in February of 2013. Phil Kieran, Kobana, Adwer, Sirenize, Ron Costa, Kyodai, Two Hand Salute and several other top artists have all showcased their music on the UK imprint, which has also been a home for many of Sebastian’s productions as well. John Digweed remains one of Sebastian’s biggest supporters in recent years and has featured his music on ‘Transitions’ several times. Now we see the UK based producer making his long awaited debut on Golden Wings Music with his ‘Life Touch’ EP. The EP begins with the title cut and finds Sebastian crafting a mystical, deep techno piece with a variety of cool design qualities. It’s rugged foundation immediately grabs you and is sure to be a delight on the dance floor. Spaced out and moderately wonky designs then begin to fill the air as a hypnotic backdrop becomes more and more prevalent. There’s a slow burning, deliberate build all through the track which spiralling sonics seemingly lift higher with each passing loop. The key thing here is there’s no breakdown to speak of and because of the excellent design and subtle build it becomes more and more magical as the track progresses. Definitely one that should generate a sizeable reaction from a clued up dance floor. The second selection, the acid fuelled ‘Door To Heaven’ is one of my faves on the EP. It’s mammoth running time of 11 plus minutes may be a little daunting but it’s twisted storyboard and grinding grooves are just irresistible. A modern day acid classic perhaps and a damn fine journey of clever builds and downright nasty sound design. The EP’s third selection ‘Flying Whales’ comes in a touch funkier and more stripped down which complements the previous two monsters quite nicely. Catchy bass hooks along with a wonderfully tripped out vocal make for another very unique sounding production. A stripped down middle section lets the metallic designs and tonal elements shine before an expertly executed finale and some subtle modulation takes you home. The EP concludes with ‘What Comes Next’ which ups the tempo a touch and finishes the release off with more of a traditional techno minded approach. Aside from the infectious rhythms which carry the groove so nicely the drums are brilliant, coming in momentous waves with each successive loop and upping the hypnotic factor immensely. A middle section full of gnarly stabs and clattering drums proves to be the pinnacle of not only the track but perhaps the entire EP. Definitely geared for peak time and guaranteed to rock I’m sure. Aside from all the cuts being outstanding from a creative perspective what may even outshine that is the character of sound. This is an EP you’ll enjoy listening to over and over again, and you’ll always be discovering new elements and quirky designs locked away in each mix. Highly Recommended.